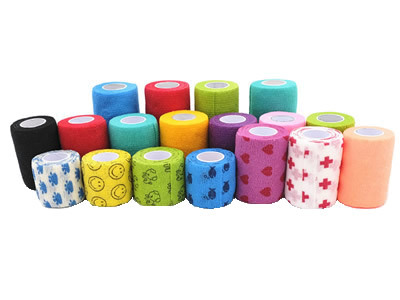 Adheres to itself, non-sticky to hear or skin, no pins or clips needed, Nonwoven Materials, hand tear. Different color and textile printing available. Veterinay hospitals and clinics, farms, hoof trimmers, animal shelters, claw trimming , tripping , horse racing,etc. Copyright © 2012-2019 Shanghai LEVAH International Trading Co.,Ltd. All rights reserved.